The contraction in November this year is the second biggest fall in the current financial year. If investment proposals are anything to go by, corporate sentiment was badly hit in November. 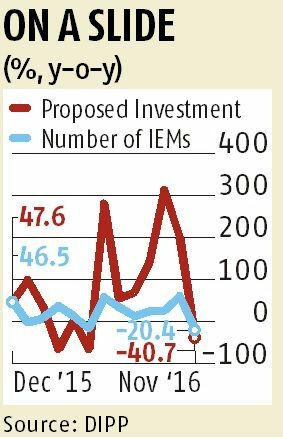 Data from the Department of Industrial Policy and Promotion shows that in November, 148 Industrial Entrepreneurs Memoranda were filed proposing investments worth Rs 14,527 crores -- a decline of 40 per cent, compared to the last year. By comparison, in November 2015, proposed investment had risen 48 per cent, up from 2014, with 186 IEM filed proposing investments totalling up to Rs 24,496 crore. The contraction in November this year is the second biggest fall in the current financial year. Proposed investments had previously contracted 68 per cent in April. Separately, CMIE’s data also showed that new project announcements in the quarter ended December 2016 totalled up to Rs 1.25 lakh crore -- the lowest in the last three quarters. Though it is marginally higher than in the same period of the previous financial year. These numbers reinforce the view that investment activity continues to be weak. Gross fixed capital formation has already contracted for the last three quarters, with the pace of contraction actually rising. It had contracted by 5.6 per cent in Q2 FY17. Further, the capital goods segment in the index of industrial production, which connotes investment demand, has contracted for the past 12 months. With demand getting hit after demonetisation, an investment revival seems unlikely in the short term. The main image is used for representational purpose only. Photograph: Reuters. 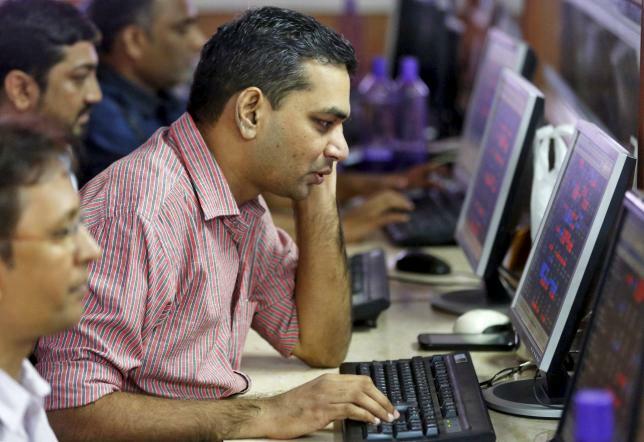 Is this the best time to invest in stocks?